Luxury yacht cruise liner Compagnie du Ponant is pleased to announce that it has joined the International Cruise Council Australasia (ICCA), Australia's leaders in providing professional cruise information and reservations throughout the region, as a full category A member. Compagnie du Ponant fleet is L'Austral which launched on 27th April 2011 and is due to visit Australian waters in March 2012. Travel the World Managing Director Andrew Millmore elaborated on Ponant's plans: "Australia is an exciting and increasingly important source market for Compagnie du Ponant. In addition to offering a range of cruises in local waters next year, Ponant is also exploring and expanding homeporting options in Australia." Commenting on Ponant's ICCA membership, he added, "We are looking forward to working through ICCA's training program to raise awareness of Ponant's great product and itineraries amongst Australian travel agents, as local demand for luxury cruising continues to grow." Discover the treasures of the South Pacific before entering Northern Australia, exploring tropical forests and the Great Barrier Reef. Travellers will experience an unexpected blend of ancient and modern traditions specific to Singapore, otherwise known as the 'Lion City'. 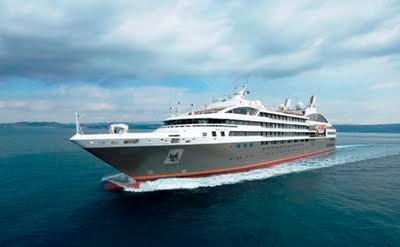 For cruise information for Compagnie du Ponant, please contact Travel the World on 1300 804 522.